Legrand UK & Ireland has unveiled MyHOME_Up – the latest generation of its simple-to-use home automation system – which now benefits from app connectivity; making it even easier for housebuilders to integrate smart home technology into new-build developments. MyHOME_Up drastically simplifies home automation for developers. Using Legrand’s connected devices programme, Eliot, MyHOME_Up integrates all essential services for a modern home – such as lighting, temperature control, shading, audio and door entry – into one system. MyHOME_Up can be installed after just one day’s training, and can be wired in a similar timeframe to a traditional domestic wiring layout. What sets the system apart from its predecessor is the new MyHOMEServer1 server, which enables contractors to easily commission the system using the new MyHOME_Up mobile app. The app, which is free to download and available on Android and iOS, can quickly be set up to control the home in a few easy and intuitive steps. Essentially, it is designed to act as a remote alternative to a wired control panel, whether in the home or away. Once the MyHOMEServer1 has been powered up, all actuators and dimmers will be working within a matter of minutes. 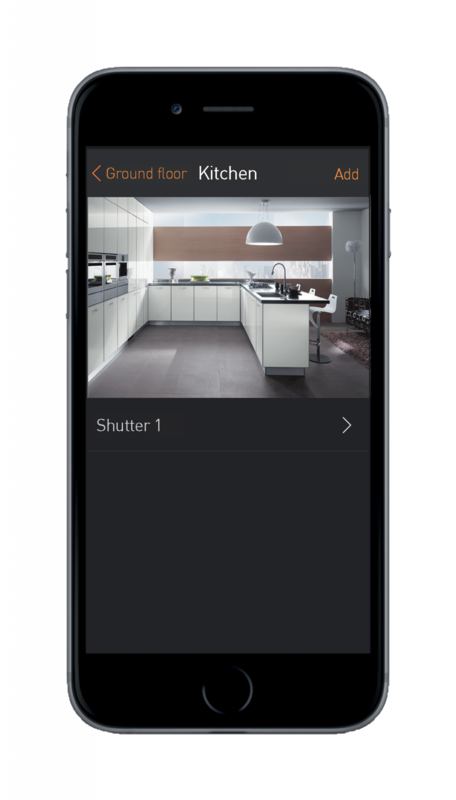 All the contractor needs to do then is open the app in ‘installer mode’, and all devices connected to the server will appear ready to be associated to a function on the app. The same app can then be downloaded and used by the homeowner to remotely control and manage all home automation functions. It will also allow homeowners to create and customise smart actions based on their lifestyle, such as synchronised lighting, climate and audio controls for each individual room during the morning or evening, or when entertaining guests, all at the touch of a button within the app. Crucially, the app will also allow developers to accommodate consumer trends for uncluttered wall space, as it reduces the need for several control panels located throughout the property. The functional depth of the MyHOMEServer1 encourages scalability, and if new connected devices are installed throughout the house to accommodate system evolution, the app can easily integrate future functions in a matter of seconds. The cloud connection is managed by Legrand’s Eliot programme, and requires no complicated configuration of internet routers. Richard Hopkins – Lead Marketing Manager, Wiring Devices for Legrand UK & Ireland, comments: “The MyHOME_Up concept is intended to facilitate easy uptake and integration of home automation systems into new build developments, at a competitive price. The beauty of the system, particularly for developers, is the level of end-user flexibility it offers. Using our connected devices programme, Eliot, the MyHOME_Up system can deliver full home automation for those who desire it. Crucially, the function of the devices and scenes can still be achieved via wall mounted controllers, if desired. For more information on MyHOME_Up, please visit: www.legrand.co.uk.